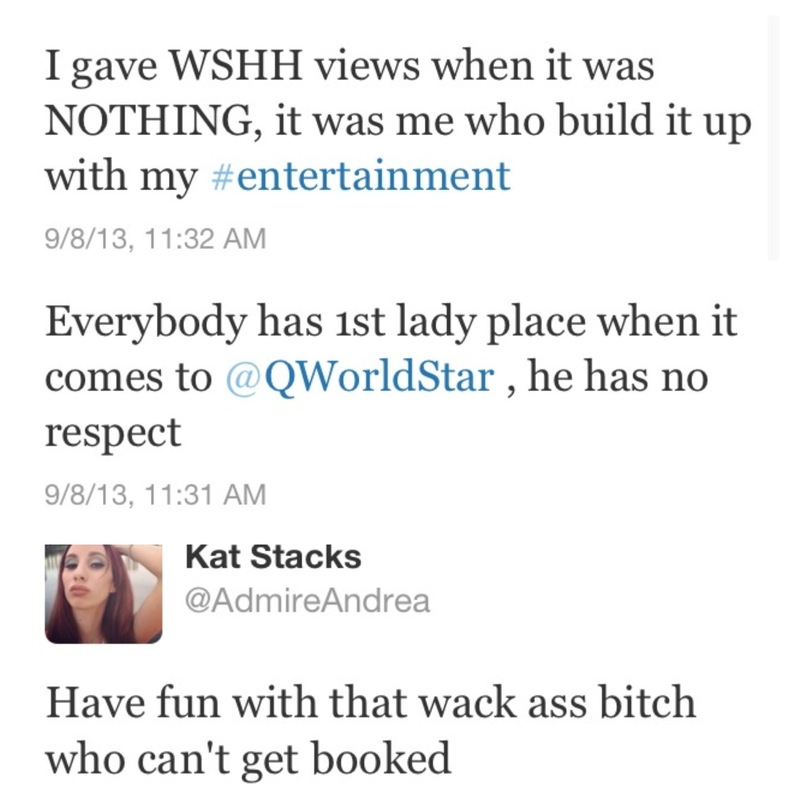 Today the infamous Kat Stacks and suppose 1st lady & Queen of WorldStar drops her manager Q owner of popular Hiphop site WorldStar Hiphop. Kat Stacks took to Twitter tweeting “I gave WSHH views when it was NOTHING, it was me who build it up with my entertainment”. Kat who has held him down and remained loyal also responds to a tweet from a fan about her tattoos of the WorldStar owner Q face & Logos saying “You would get his name tatted on you” Kat responded with saying “So he was paying my rent”. The question now is why? I’m assuming over another talent that she referenced in her tweets as well. I wonder if she will put this down in her new book titled”Autobiography” to be released October 15th 2013. Reblogged this on On Blast.